If we aren’t the best fit for your dog within the first 3 visits we will refund 100% of your membership fee. We require dog first aid and CPR training for all of our Pickle Crew. We put our staff through annual classes to ensure they stay up to date and are ready for any possible emergency. Our team goes through not only annual training but constant learning to help teach every dog happy and healthy behaviors while they visit us. Your dog should not learn bad behaviors at daycare! We also keep close eye on all dogs visiting us to help ensure only the friendliest and safest dogs play with your dog. We remove all toys and bowls each night and run them through a human grade dishwasher to ensure every toy is sanitized after play time. We also sanitize all beds and mats in a human grade washing machine. We use high grade lavender and eucalyptus aromatherapy to help each dog feel comfortable and safe. The cleaners we use are Natural and Plant-Based, rather than harsh chemicals. Our mop water is filled with citrus essential oils to repel insects such as fleas. Planted around and inside our facility you’ll find citronella and lavender plants, to help repel insects, such as fleas, and to help clean the air. Our team has been working in the pet industry since 2000. That means we have more than 38 collective years working with pets in the veterinary, behavioral, rescue, grooming, training, in-home care and nutrition fields. If you have a question or need help with something we can find you help! Our facility is not only equipped with a camera security system but also takes your dog’s safety around doorways and strangers very seriously. We do not allow walk through visits during daycare hours and have a locking entry door. These practices help to ensure your dog won’t be stolen from our daycare. Our 4 gate / doorway system also ensures your dog can’t escape from the door while at daycare. We would love to explain and show you the system when you stop by. We do not accept cash transactions so this is another way to keep unsavory people from entering our daycares. Our Member Portal system is 100% cloud based and passes all regulations for data storage and security against hackers. Your data is never stored on our devices. 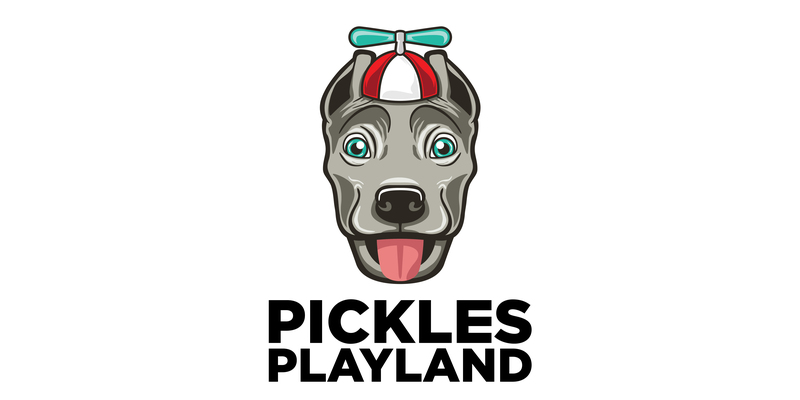 Enriching the lives of dogs is our biggest driving factor in bringing a Pickles Playland location to your community. We also enjoy fun events and sharing stories about dogs with other dog owners and lovers. So we strive to be a community gathering place. We are working with many people throughout the pet industry to bring you fun pet friendly activities and educational events. Your membership gets you free access to many events.